Muscat is the capital city of Oman, a country which shares borders with Saudi Arabia, the United Arab Emirates and Yemen. The capital is home to many of the country’s major hotels, restaurants and entertainment complexes. 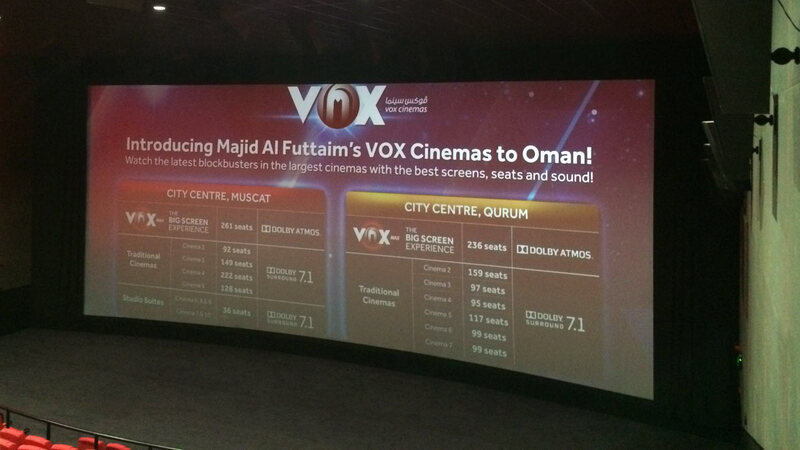 VOX Cinemas decided this would be the ultimate location to add another Dolby Atmos Cinema to their growing chain. 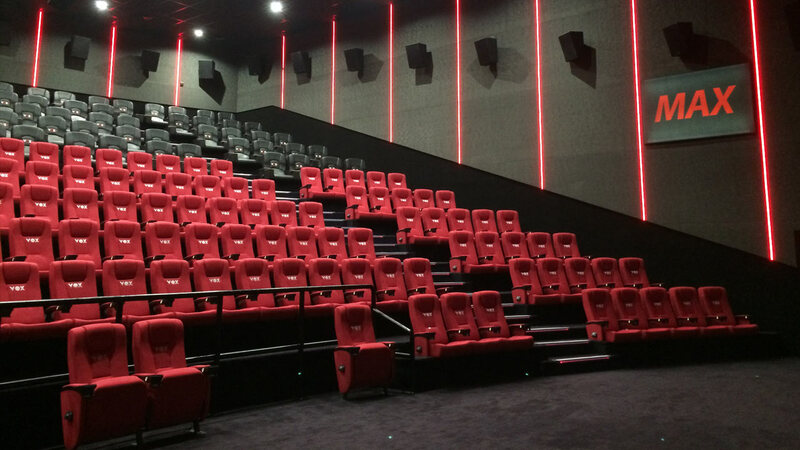 Starting with the room dimensions (20m x 23m) and housing an impressive 249 seats, Mark Smith – Technical Manager for VOX, designed the cinema to cater for the high specifications of the new Dolby Atmos format. “Our design brief at VOX cinemas is to provide the best movie going experience to every customer” said Mark Smith, Technical Manager for VOX. The KX-1152 surrounds were chosen for the front 2 rows of surrounds to meet the required 99dB continuous SPL to the reference point. The KX-1570’s were chosen to fulfil this requirement for the remaining surrounds. In line with the Krix design philosophy, excellent timbre matching was achieved throughout, simplifying equalisation in the cinema. Ashley Krix visited the cinema in a recent trip to Oman.